The lineup for Meltasia Festival has been announced, and its pretty loaded and varied. 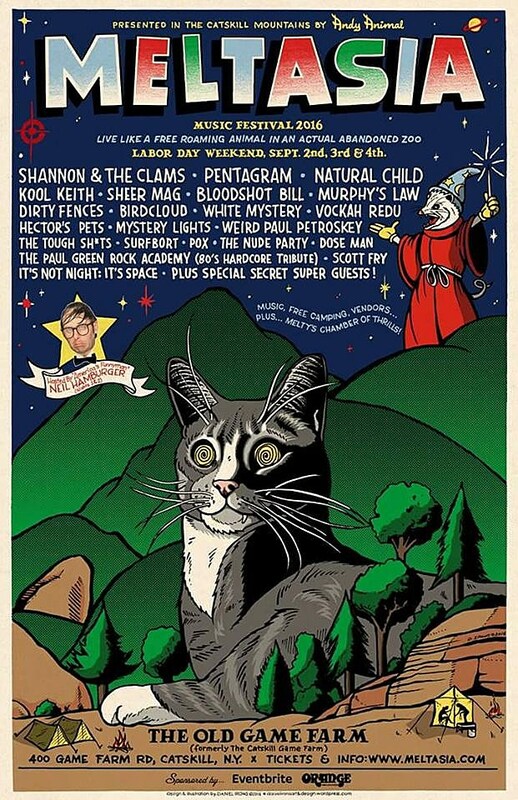 Going down at the old Game Farm in the Catskills, which is less than a 3-hour drive from NYC, on September 2-4, the lineup includes Kool Keith, Pentagram, Shannon and the Clams, Sheer Mag, Natural Child, Murphy’s Law and many more. Tickets for the festival, which returns this year after taking a year off in 2015, are on sale now. Check out the full lineup below. Kool Keith also plays NYC on June 26 at Knitting Factory (tickets).